From the director of Poltergeist Encounters (2016) and The Friday Night Death Slot (2015) comes a film about demonic possession with a new twist. Exorcism of the Dead (2017) explores the idea that death provides no escape from the forces of evil. The film tells the story of Candace, a deeply troubled young woman who is possessed by an ambitious demon. Her family has tried every conventional method to heal her, but both medicine and psychology have failed. As a last resort, they reach out for aid from the church. They are unaware that the priest who arrives to deal with the situation has his own dark secrets. 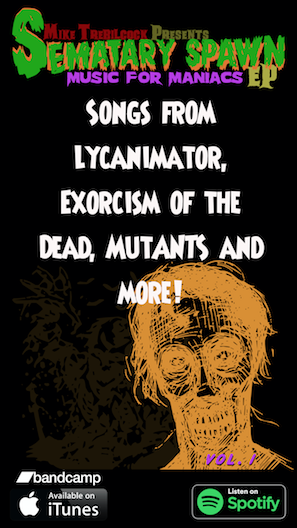 Production on Exorcism of the Dead has now been completed. Exorcism of the Dead stars Sarah Swerid, Nick Biskupek, Rich Piatkowski and Deborah Jayne Reilly Smith. The film will premiere sometime this fall, before moving on to film festivals and eventually to distribution on DVD. The film’s crew includes award-winning filmmakers Darren Hutchings (The Post-Lifers) and Deborah Jayne Reilly Smith (Away). Hutchings is the Director of Photography and Reilly Smith is a production assistant who also appears in the movie as Eunice. Juno Award-winning musician, Mike Trebilcock wrote the score for the film. Kyle Hytonen (Massacre at Femur Creek) recorded the sound. 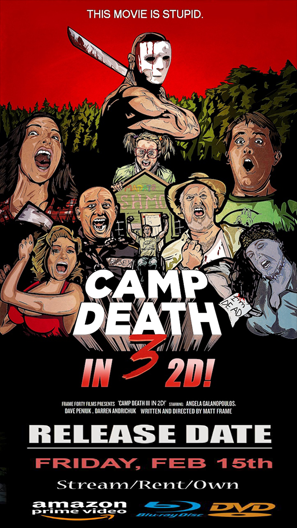 Director John Migliore has also produced the online shows Partially Devoured Movies and The Midnight Movie Palace. This is his 4th feature film. 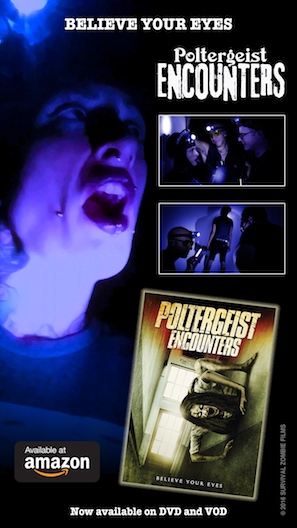 His previous film, Poltergeist Encounters, will soon be released on DVD by Wild Eye Releasing.